Fall MTSU Poll reveals state v..
Who knew mustangs needed a makeover? Audiences saw how 100 days of patient training can turn wild horses into versatile partners Oct. 21-23 at the “Extreme Mustang Makeover” at MTSU’s Tennessee Miller Coliseum. All events were free and open to the public except the Oct. 22 Top 10 finals performance, which had a ticket price of $15 per person. Miller Coliseum is located at 304-B W. Thompson Lane in Murfreesboro. Hollywood westerns have helped the mustang, the wild horse of the Southwest, become a symbol for American freedom, strength, determination and hope. Considered tough and hardy, mustangs endure weather extremes on the range where they roam as well as the ongoing threat of starvation. The Texas-based foundation, in cooperation with the U.S. Bureau of Land Management, created the Extreme Mustang Makeover event to highlight the value of the horses through a national training competition. Over the course of 100 days, trainers—many of them local—work with these wild horses to transform them into trained mounts. The public is able to bid on and adopt the competing gentled mustangs at the conclusion of each Makeover weekend. Because mustangs essentially have no natural predators, their herd sizes can double about every four years, creating overpopulation problems on the public lands they roam, according to information from the Bureau of Land Management. The highlight of the weekend was the “Top 10” finale, organizers said. “There are some stunts that they pulled that I’m not going to do on my horse, let alone on a mustang,” said Kayser, who was one of three judges for the competition. He added that he’s seen a mustang leap onto a moving wagon and a rider jump from a trampoline onto the saddle and dunk a basketball in between. 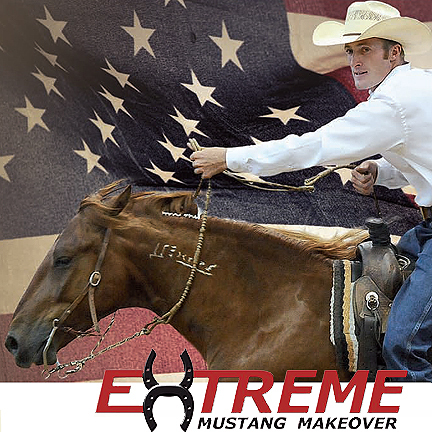 For more information about the Extreme Mustang Makeover, visit the Mustang Heritage Foundation website at bit.ly/MTMustangMakeover11, or contact the Tennessee Miller Coliseum staff at 615-494-8961.